You may have heard that Pix4D Crane Camera is designed for autonomous monitoring of jobsites, rapid verification and validation of the as-built situation, and early detection of design clashes or deviation from schedule - but how do you know if the Crane Camera is right for you and your team? Here are the top five questions people ask before trying the Crane Camera solution. Q1: What's a Crane Camera? We’re assuming that your jobsite already has a crane (or three!). The Crane Camera solution is an advanced camera system installed on a tower crane jib and connected to Pix4Dbim photogrammetry software. The weatherproof camera system is powered by the crane and is designed to withstand crane vibrations to deliver high quality images, as the crane moves. Once installed, the Crane Camera will automatically take photos of your site at the same time each day and upload the results to the Pix4Dbim Cloud. Need to change the settings? This can be done remotely, without needing to remove the camera from the crane — or even going on-site. Q2: What does the crane operator have to do? Nothing - the crane operator does not have to do anything other than their normal work. Each day the system automatically collects images and transfers them to the Pix4D Cloud over WIFI or a 4G connection. The images are then processed automatically and converted into 2D scaled and georeferenced orthophotos, 3D point clouds, 3D mesh models and 2D elevation maps. Q3: What are the benefits of Pix4D's Crane Camera? Unlock your data. Pix4Dbim Cloud converts images into 2D orthographic maps and 3D models which can be measured, analyzed and compared with CAD drawings. Share the results with your project team with the press of a button and export to third-party BIM or CAD software for further analysis. Automatic results across multiple sites. With the Crane Camera, you don’t need to go on site to collect or analyse results. No human intervention is required, and no special training. Once the system is mounted and fixed on the crane jib, results will roll in with no intervention from you. Save time, money, and reduce disputes. No, we can’t promise that installing a Crane Camera will make the job go smoothly. Instead, think of it as a video referee, ready to resolve disputes with hard evidence. Was the delivery on-site on time? Scroll back through the Pix4Dbim timeline and avoid a dispute. Does the building match the plans? Overlay your CAD diagram to check - and save the cost and hassle of reworking. Q4: Why would I use the Crane Camera instead of drones? Drones can be an incredible tool, but someone has to fly them. The Crane Camera delivers information daily, automatically, with no need to request flight permissions or worrying about the weather. 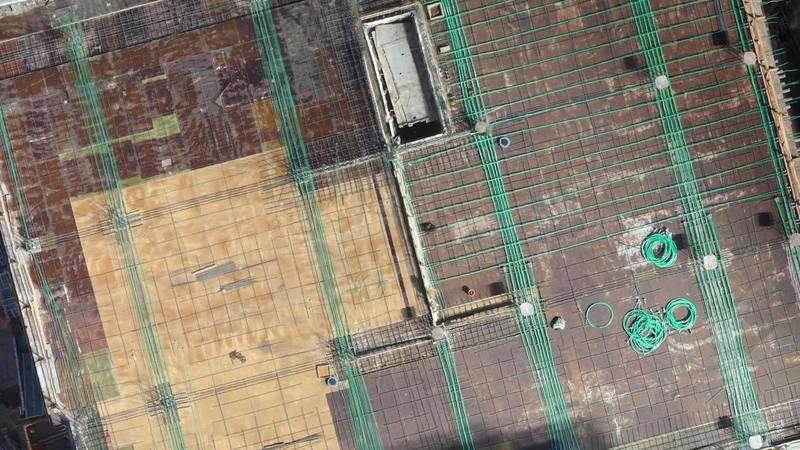 To track progress on a constantly evolving construction site, regular inspection is necessary. One flight each month, or even each week, might not give you the full picture. The automatic Crane Camera solves this issue - everyday, anytime, whatever the weather. Q5: Why would I invest in the Crane Camera when we already have webcams? With the Crane Camera, not only are the quality and clarity of the images significantly higher than a webcam, but also data outputs differ dramatically. 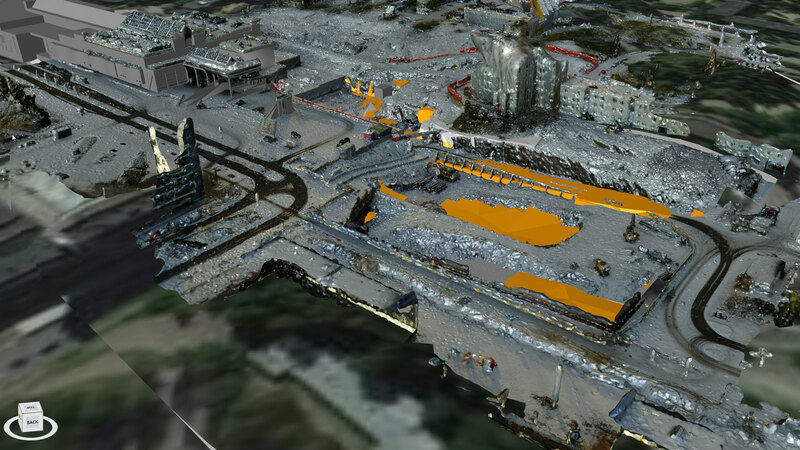 Pix4D software uses advanced image analysis and photogrammetric algorithms to process the images, resulting in the creation of 2D mosaics of images that are orthographic. Being perspective free and scaled, those 2D orthomosaics can be used to measure distances and surfaces. More importantly, they can be compared with CAD/BIM drawings used by the site. Also, thanks to GPS included in the camera system, the images are accurately georeferenced in real-world coordinates. This means the results are fully compatible with your BIM, CAD and GIS systems. True 4D project management is achieved with a combination of BIM and drones.